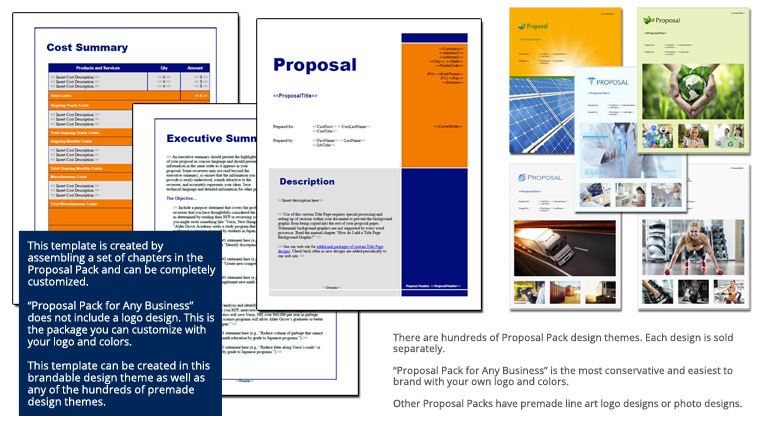 This 10 page layout is included with Proposal Pack. Create variations of this document of any length to suit your specific needs. Order and download for $79. The Tree Trimming Services Proposal is an example of a proposal using Proposal Pack to pitch the services of an arborist. This set of templates covers basic services, scheduling, prices and cleanup issues. know how many times I have used Proposal Kit documents and how much I have been benefited from these. I have started charging around 15-20% more and my clients are paying that. I further plan to increase my profits."